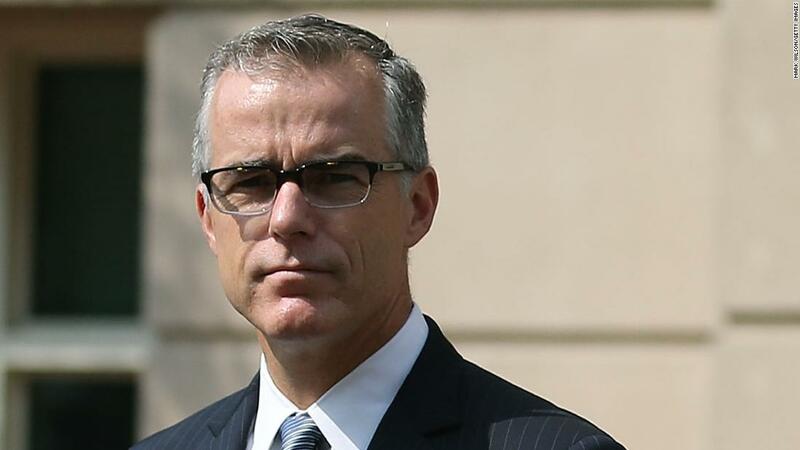 (CNN) Former FBI Deputy Director Andrew McCabe has turned over a memo he drafted related to the firing of his former boss, FBI Director James Comey, to the special counsel’s office, according to a source familiar with the matter. In the meeting, Rosenstein said President Donald Trump had initially asked him to reference the Russia investigation. Rosenstein ultimately authored a controversial memo outlining the ways Comey had flouted Justice Department protocols leading up to the 2016 election but did not mention the Russia probe. The source confirmed to CNN that McCabe’s memo recounting this meeting with Rosenstein, as well as an early draft of Trump’s letter firing Comey, has been turned over to special counsel Robert Mueller. What exactly Trump’s draft letter says and when it was turned over remain unclear. The President and his allies have pointed to Rosenstein’s memo in the past, questioning why he has not stepped aside from overseeing Mueller’s investigation given his role in the firing of Comey. But CNN reported in April that Rosenstein has consulted with the career ethics adviser at the Justice Department about this issue and continues to oversee the probe. As CNN previously reported, McCabe has turned over his other contemporaneous notes to Mueller, which detail what Comey shared with McCabe about his private interactions with Trump while he was FBI director.